Prominent & Leading Manufacturer from Ahmedabad, we offer drinking water treatment plant, frp water treatment plant, industrial water treatment plant, mineral water bottling plant, mineral water treatment plant and raw water treatment plant. We are offering Drinking Water Treatment Plant to our clients.Treating water protects our health by making sure safe drinking water is supplied to Melbourne. Most of our drinking water needs very little treatment, as it comes from protected catchments which supply high quality water. This water is disinfected as it leaves our storage reservoirs and enters the supply system. We also have several other plants which treat water from protected catchments, using disinfection, fluoridation and pH correction processes. We are offering Water Treatment Plant for Drinking Water to our clients. We are offering Mineral Water Bottling Plant to our clients.We are specialized in manufacturing a wide assortment of automatic bottling machine which are easy to operate and available in various capacities and specifications. 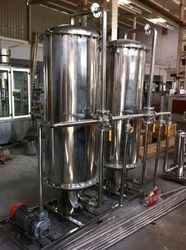 Our range filling machine with conveyors for for liquids & semi-liquids. These are suitable for mineral water, medical syrups, juice and chemical industry. Further, our range is designed with neck holding transfer systems and so no change parts or time is required for changeover from one size to another. These automatic bottling machines are easy to install and have a low waste disposal rate. Sturdily constructed using the best grade components, these machines are widely appreciated for their reliability and high performance. Further, we also quality test these automatic bottling machine on different parameters to match with the set industrial standards. Critically proven for Pet bottles. Suitable for any shape & size ranging between 200 ml to 2000 ml. Bottle travels on neck to neck from in-feed till out-feed resulting scratch free movement of bottle. We are offering Mineral Water Treatment Plant to our clients. With years of industrial experience, we are presenting a qualitative collection of Mineral Water Treatment Plant. 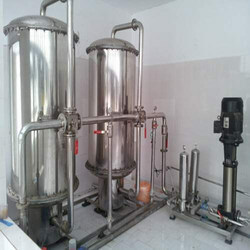 The offered water plants finds application in meeting the demands of effective filtration of impurities as well as chemicals that are present in water and thus restoring the water quality standards and make it fit for particular usage in given applications. Water systems comprising chlorine dosing system, multi media filtration, activated carbon filtration. 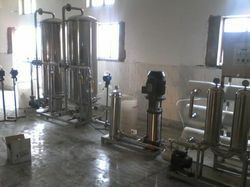 We are offering Raw Water Treatment Plant to our clients. Raw Water Treatment Plant depends on water source (surface water/ground water), water contains various impurities in the form of the suspension as well as dissolved matter. Normally inorganic particles, colloids and biological debris such as microorganisms and algae are in suspensions and dissolved impurities consist of highly soluble salts, such as chlorides, and sparingly soluble salts, such as carbonates, sulfates, and silica etc. 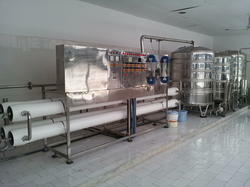 We are manufacturing a wide range of Water Treatment Plant. 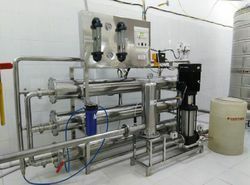 Shubham range of Water Treatment Plant consists of Water Softener, Reverse Osmosis Plant, Ultra Filtration system is convenient and less costly than overall Life cycle cost of equipment. Best of all, water treatment plant pays for itself over time and makes a difference you will notice every day. These plants are one of our most popular utility plants that are known for its high efficiency, leak-proof and less maintenance. We also provide installation& operation training along with onsite support for the plant to our clients. 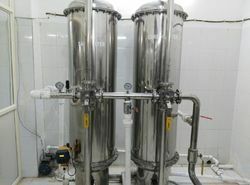 We are leading manufacturer of Water Treatment Plants. 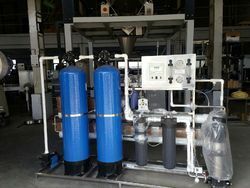 Manufactured using high-grade raw materials and utilizing innovative production techniques.We are capable in manufacturing and supplying a wide gamut of Water Treatment Plants. These plants are mainly used for killing germs like viruses, bacteria and fungi. These water treatment plants are based on the latest SAFF. Our range of water treatment plants are manufactured using latest technologies and are featured with user friendly consoles. We are leading manufacturer and exporter of Industrial Water Purifier.